The Central State should provide an answer to the demands of the majority of Catalan citizens. This answer should contain more self-government. 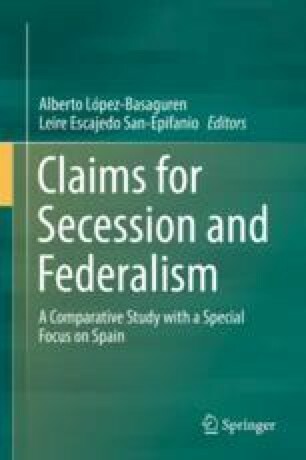 But it will be not enough to reform only the Statute of Autonomy within the current established parameters; the Constitution should also recognize the Catalan singularity. Ways must be found to implement the principle: “Enough for Catalonia, acceptable for the rest”. Such a reform is only reasonable within a constitutional reform which recognizes and defines the territorial organization of power in a federal sense. Federalism and asymmetry have not always been a good combination. However, only within a federal framework would the recognition of the Catalan singularity be feasible. This framework could also become the meeting point between the majority of Catalans and the rest of Spanish citizens. It should also be clear that the recognition of singularity is already part of our constitutional order and present in the Constitution of 1978. On the one hand, because of the recognition of the difference between nationalities and regions and on the other, related to the integration of the historic rights of the Basque Country and Navarra. There would be an important additional advantage of a constitutional reform: this reform would require the vote of the Catalan people. The citizens of Catalonia would have to endorse the reformed model. And twice. On the one hand, in the referendum on the Constitution itself. Furthermore, in the necessary referendum on the Catalan Constitution or Statute which would be adopted within the new legal framework. The constitutional referendum would also have the advantage that all Spaniards would participate. In this way, the principles of legality and democracy would be respected. The construction of an alternative is the first answer to the desire for independence. But the arguments which contradict the desire for independence should not be forgotten. The first is the absence of a majority for this demand among the people of Catalonia. The support for independence does not reach the limit of 50% plus one. In any case, it should be clear that such a traumatic process requires a sufficient majority which, at least, should not be less than the majority required for a reform of the Statute of Autonomy. Today, as stated by Le Monde, “it is far from being morally sufficient in order to justify a break with Spain”.